NASA introduced to the world on Aug. 3, 2018, the first U.S. astronauts who will fly on American-made, commercial spacecraft to and from the International Space Station—an endeavor that will return astronaut launches to U.S. soil for the first time since the space shuttle’s retirement in 2011. 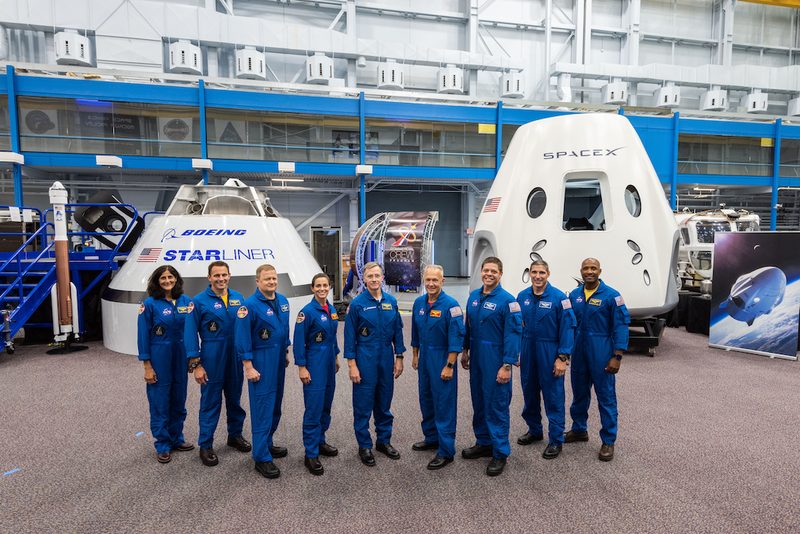 The agency assigned nine astronauts to crew the first test flight and mission of both Boeing’s CST-100 Starliner and SpaceX’s Crew Dragon. The astronauts are, from left to right: Sunita Williams, Josh Cassada, Eric Boe, Nicole Mann, Christopher Ferguson, Douglas Hurley, Robert Behnken, Michael Hopkins and Victor Glover.